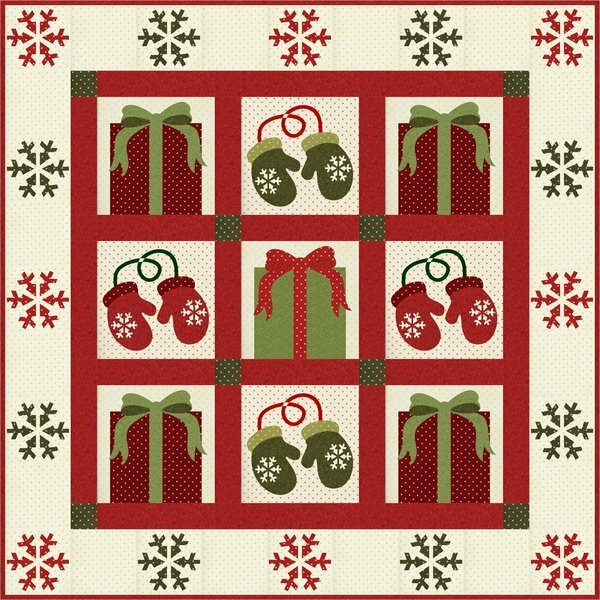 Add this festive quilt to your Christmas decor, or give it as a lovely gift. This quilt was designed by Christine Stainbrook using Home Essentials by Robyn Pandolph. The pattern comes complete with templates for the mittens, snowflakes, and bows. 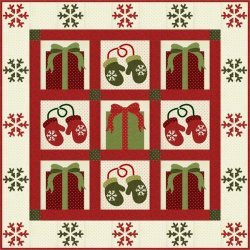 The snowflakes, mittens, and bows are appliqued onto the blocks and bordering fabric.